Hubert Lamb | Watts Up With That? December 27, 2013 in IPCC, Paleoclimatology. IPCC throws Mann's Hockey Stick under the bus? August 21, 2013 in IPCC, IPCC AR5 leak. Two years to a 1740-type event? June 18, 2013 in Curious things, Forecasting. January 4, 2013 in Agriculture, Solar. Little Ice Age Thermometers- Historic variations in temperatures Part 3 -BEST confirms extended period of warming. August 14, 2012 in Berkeley Earth Surface Temperature, Climate data, UHI. June 24, 2012 in Book Review. The World won’t stop having climate cycles just because they are inconvenient. 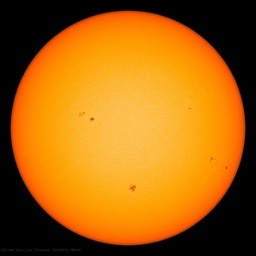 February 18, 2012 in Solar.